We've also pulled together some of our top holidays for less than £100, £200 and £500 per person to help make sure you stay under budget, whether you are holidaying in the UK or abroad. So what sort of holiday are you after? 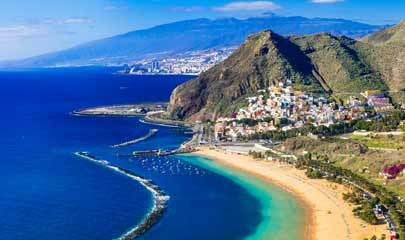 An all-inclusive week away with the family in the Canary Islands? A cheap weekend break to Majorca or Barcelona? Maybe a five-star romantic getaway in Europe for a special occasion? Or perhaps you're after somewhere far-flung and exotic like India or Thailand. Whatever your reason for wanting a holiday, we've worked hard to pull together some of the best holiday offers around so that you don't have to do the hard work. And now is the time to get ahead and save money by booking your 2018/2019 holiday now! So take your pick from relaxing in an Ibizan villa, a full board cruise around the med, or maybe you'd like to go kayaking with the dolphins in Tenerife, or perhaps a waterpark holiday in Dubai. Wherever you want to go, take a browse from our latest and greatest holiday deals. The great thing about an all-inclusive holiday is that you don't have to worry about spending money when you're on holiday, so if you're on a strict budget, it can ba a great way of keeping control of the costs, especially when you've got little ones to feed and when everyone likes something different, the buffet breakfasts, lunches and dinners are an ideal way to keep the whole family happy. 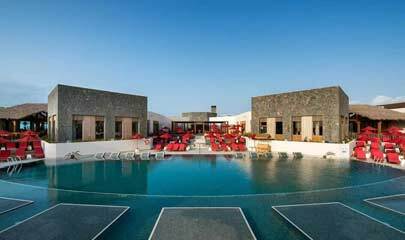 Keep an eye out for all inclusive holiday deals that don't include airport transfers. While the flights and all inclusive hotel may be included in the cost, the coach transfer from the airport to your accommodation might not be included so always double check this before you book. Us Brits love a good bargain so we are always on the hunt for the next holiday deal that will keep the family happy, the budget under control and us relaxed. Some of the more popular holiday resorts can help achieve this. 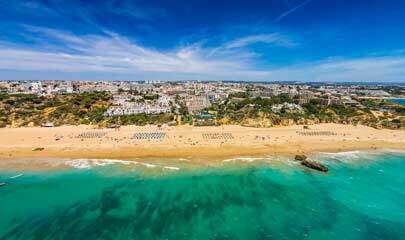 The Algarve, for example, is well catered to English holidaymakers and families too, with plenty of resorts offering kids clubs and daytime activities to keep the little ones busy. It's also only a three hour flight to Faro airport from the UK. For an endless supply of sunshine, the popular Canary Islands are the perfect winter holiday destination with temperatures in December and January in the late teens to early twenties, meaning the evenings are cooler, but the days are going to be much sunnier and warmer than the UK. When summer comes, temperatures can reach the mid to late 30s, so depending on your ideal temperature, choose your time of year wisely. Summer holidays rarely go on sale, and it's often the winter time and school term time when prices drop and you'll be able to get more of a bargain in the likes of Tenerife and Gran Canaria. Combine a beach holiday with a city break and you'll feel like to added a bit of culture too. Try popular city break/holiday destinations like Barcelona or Palma in Majorca which offer sunshine, Sangria and sightseeing hotspots too. Then, of course, there's the UK. 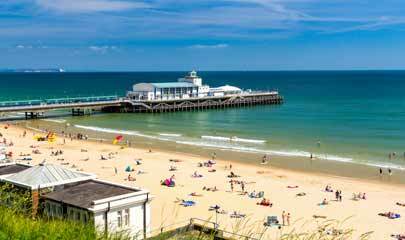 Avoid the airports and risk of delayed flights by enjoying a UK holiday this year. We've got some stunning beaches in Cornwall and Devon to enjoy, or perhaps a more active holiday in one of our incredible national parks would be better. Camping and caravan holidays allow you to keep the cost of your holiday down too, with mega savings to be had if you're planning on camping on your next holiday.